Where possible, throughout the planning try to both be a part of the process remembering to make your wedding theme represent your style and personalities. I promise it’s the fun part! Choose a clear theme and overall design, it will give you a direction and allow you both to visualize the final look of your big day. This initial stage will also help the suppliers you source to create unique ideas for your cake, flowers, menu and style of entertainment. In turn you will then get a better idea of the all-important wedding dress design, groomsmen's attire and the dress code for your guests. From experience, I am finding that, to a greater extent, marriage celebrations are becoming more unique and less about the conformities of tradition. Because of this the ‘vintage trend’ is being explored by those wanting a personal wedding, balancing a beautiful vision with a more modern approach. If this is something that appeals to you then try not to have a preconceived idea of what the backdrop to your day will look like, let it grow with your planning. Indulge in your journey, be inspired and have fun with it. The Victorian vintage style is opulent and elegant. If you have access to a country manor house or, church with garden views, the Victorian look will certainly be pretty and evocative of British traditions. Feminine florals, lace, pearls, jeweled embellishments and a certain element of extravagance characterize the Victorian era. Instead of traditional and uniform centre pieces, try to create arrangements that differ from table to table, they should be rich in texture and beauty. 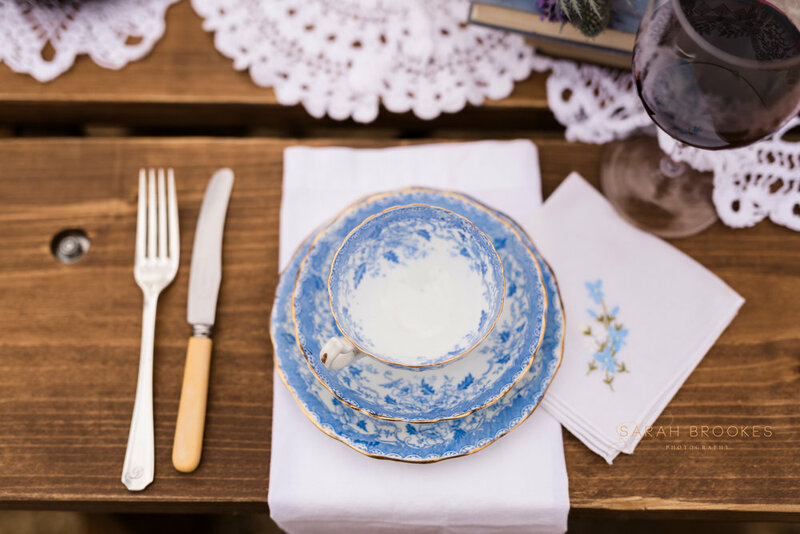 Make sure your banquet consists of English teas, delicate sandwiches, scones clotted cream and fresh jam. Or perhaps meat platters and all the trimmings served straight to the table in terrines and silver ware. Colonial and travels from around the globe featured within Victorian furniture, as did décor with exquisite embellishment and luxurious materials. As a result, the Victorian era could have been seen to be quite ostentatious, so go for a lavish yet romantic approach. Rockabilly weddings start with your wedding dress! Make your transport and playlist fit the genre, create an American diner backdrop to the wedding breakfast, with classic red and white checked patterning, stainless steel and all things with a 1950’s vibe. Use vintage vinyl records and movie posters within your décor and serve burgers, hot dogs, fries and alcoholic shakes! You could even take it a step further and ask your guests to dress up in fashions from a classic film, for example Grease or Dirty Dancing. For a more British take on this type of styling, retro weddings are also for those with a real passion for a theme inspired by a decade. Take inspiration from the 60’s and 70’s. Think the Beatles, mod’s or even music festivals and the hippie culture. Whatever the genre you choose as a theme, it’s so important to research the era and get the details right. Remember to go for it, subtlety is not an option! French shabby chic style to me encompasses summer in a picturesque rustic French village. Go for enchanting flowers of blues and off whites in old mason jars, watering cans and kitchenalia. Embrace the use of fairy lights, vintage white-framed mirrors, chandeliers and lanterns hanging from trees. All can be delicately dressed with lace and textured draping. 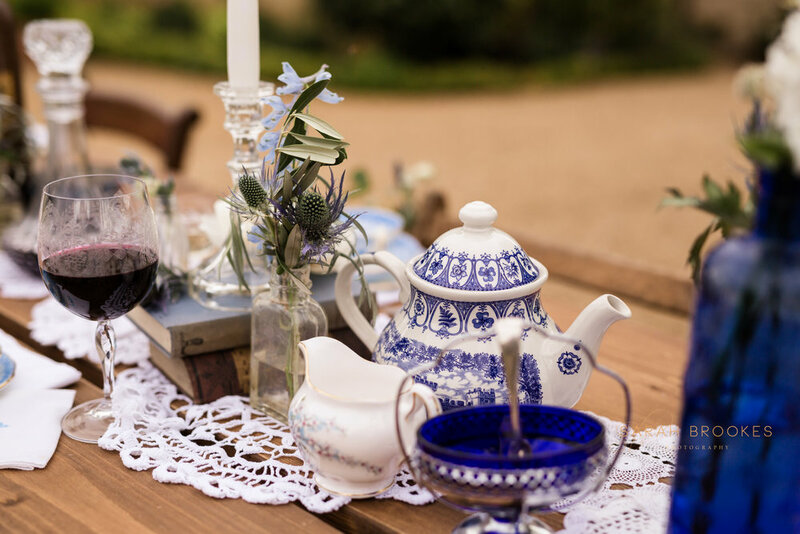 Complement with crisp white linen, lace table cloths and vintage china in blues, alongside a beautiful outside back drop of rambling fields or old brick courtyard. Being synonymous with the shabby chic style, favour décor and props that show shows signs of wear and tear and any furniture that has a distressed appearance. 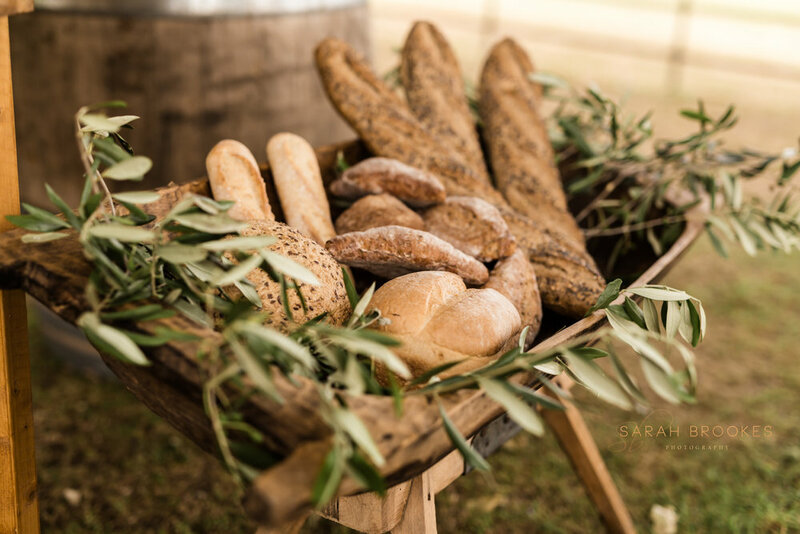 Your catering could be as simple as artisan bread and cheeses followed by the most exquisite pastries, just ensure the wine is a good year! Rustic fairy tale wedding Transport your guests to a simpler time by having a rustic country wedding. Go for a relaxed and romantic feel, using coordinated, lace and hessian bunting, enchanting vintage crockery and pretty antique linens. Aim to balance these components with more masculine props and textiles of hessian fabrics, wood and more natural, rustic materials. Use wooden tables and benches, that don’t need dressing with cloths. A woodland back drop is the perfect setting. However by bringing lush greenery and elements of the outside into any understated venue it can give a similar organic feel. Adorn your setting with seasonal, wispy floral arrangements. Vintage bohemian weddings complement this theme beautifully, where having your ceremony in the middle of a woodland glade is truly enchanting. By hanging dream catchers, fairy lights, lanterns and ribbon drapery to forest branches it will add to this free spirited feel. Inspiration can also come from Shakespeare’s ensemble, or literature with fairy tale qualities. Earthy tones of gold, copper and lavender make for a harmonious colour scheme and adopting candle light center pieces, vintage table ware and elements of dreamy decadence, will create a wedding that is truly a Midsummer Night’s Dream. 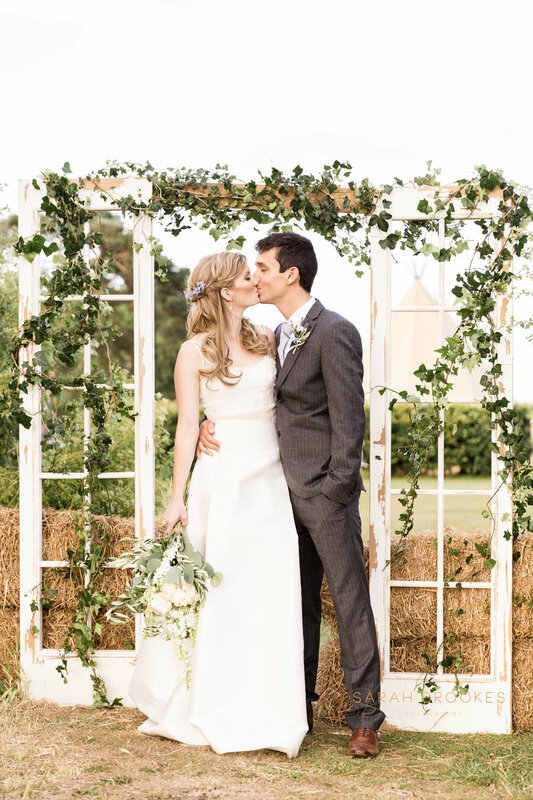 The rural Countryside barn wedding is ideal if you want a décor that is relaxed, natural and fun. 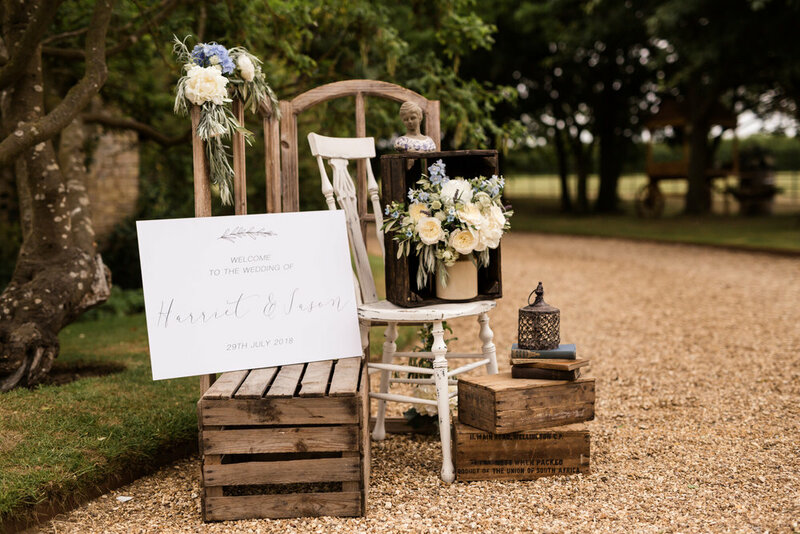 Whether your chosen venue is romantically rustic, or chic and contemporary, initially, it will no doubt be a blank canvas, thus giving infinite possibilities for bespoke and hand crafted details. Be sure to use fresh organic produce, a barbeque, or easy- to-eat foods for your wedding breakfast and to really emphasize the theme have locally brewed beers and ciders on tap. Dress it down for laid back comfort, with hay bales and an easy flow of casual vintage furniture. Have fun with the linens you use, it is a great way to bring in colour, texture or pattern. A lovely example of this is to use strips of lace, ribbon and rag hung on garden twine, instead of traditional bunting. A barn wedding has often been complemented with the whimsical wedding theme which has no boundaries. Being so eclectic, it is okay to mix and match styles that would not usually blend together; how delightful it would be for your guests to feel like they have fallen down the rabbit hole and ended up in wonderland! As with any outdoor wedding adorn your setting with plenty of enchanting lighting, suspend vintage frames from trees, with lanterns, candles and jars of flowers hanging in between them, paper lanterns and even chandeliers can also work with striking effect. Vintage garden weddings are perfect for intimate celebrations. Plant flowers the year before to create a beautiful English country garden backdrop, it will save on your florist costs, meaning you may only have to purchase the bouquet and button holes. It works well to lose the formalities of traditional seating arrangements, using instead, distressed and rustic furniture, mismatched with patchwork quilts and deckchairs to give a relaxed appearance. Lighting is of importance, because the flexibility of a no ‘carriages at midnight’ curfew, will mean the celebrations may go on into the early hours. Consider catering with a quintessentially English afternoon tea and in the evening, that which offers your guests a choice of what they want to eat, for example fish and chips, or street food. A large marquee is a must though, in case the weather makes a turn for the worse. Other schemes which work well with this type of homely venue are a vintage country cottage styled wedding, with mismatched china, vintage household memorabilia and bunting. Take inspiration from these themes if you are planning a wedding in a village hall or a more simplistic venue. By adding a vintage village fete twist, with carnival themed décor it can bring to life the dullest of spaces. Excite your guests with popcorn and candy floss machines, fete games and fun entertainment. Freshly picked field and garden flowers that are colourful and not too contrived can sit gracefully in jam jars and old mismatched glassware for any of these wedding themes. "The list of wedding styles is endless and these are only a few of my favourites! I love the nostalgia created by those personal touches that can be created by vintage themed weddings, making them fun, relaxed and delightfully romantic. 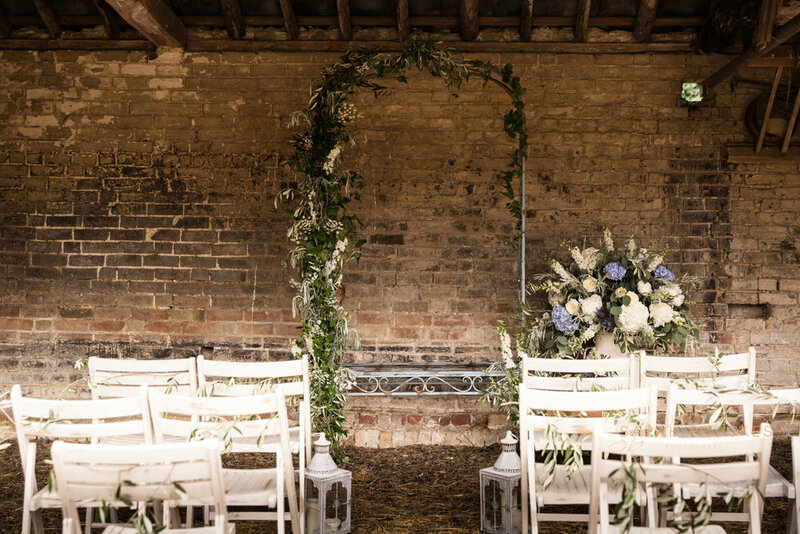 Dollys collection, my endless list of recommended suppliers and a passion for keeping to date with current wedding trends means I can enhance your wedding venue and the backdrop to your day. Whether it is a wedding themed with 1920's Hollywood glamour and all its opulence, a rustic country fete adorned with bunting, lawn games and hog roast, or, an elegantly romantic wonderland, full of dainty china and whimsical decor. The possibilities of wedding decor styling for weddings and events is boundless and what I love about it most is no two are the same. Hopefully I have given you some ideas to ponder over. I love sharing my experience, insight and passion for creativity and would be happy to talk about your plans at Dollys barn with a free no obligation consultation. In the meantime, for more expertise try Instagram, Pinterest, wedding magazines and social media, all can help with imagery and ideas from other countries and suppliers."